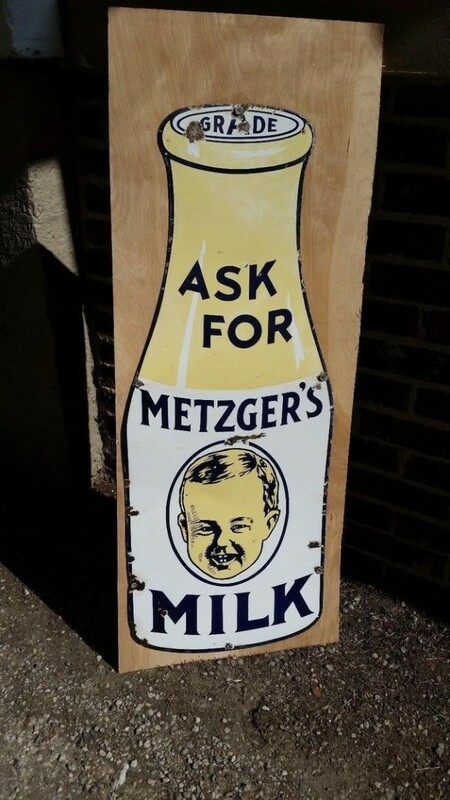 This Metzeger’z Milk sign is a unique milk bottle shaped die cut sign. The sign is black, white, and tan. In the center of the bottle is a baby’s face. The text reads from top to bottom as “Grade A Ask for Metzeger’s Milk.” As shown in the picture, this sign can easily be mounted to a piece of wood with the pre-cut mounting holes.